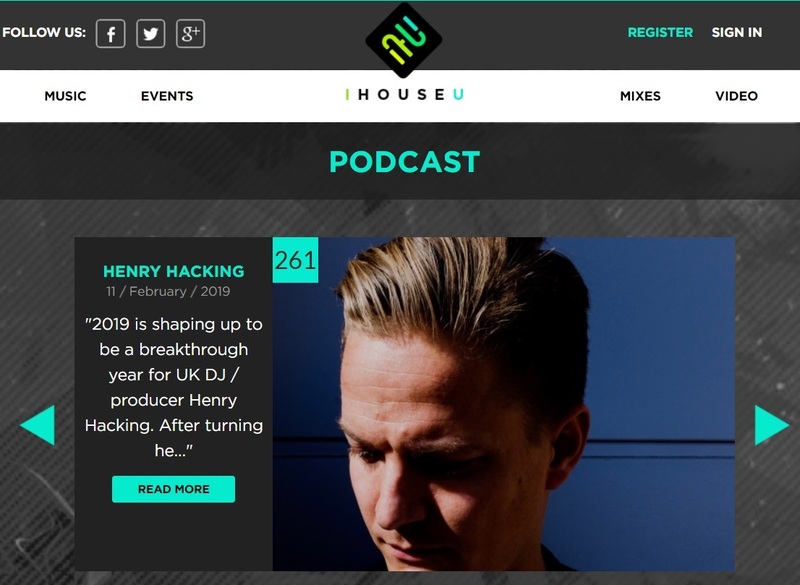 Breakout UK house artist Henry Hacking mixes up some quality house tunes in his podcast for IHOUSEU. Alongside an interview where Henry talks about his huge profile in Asia playing at some of the world’s best clubs, the podcast marks the release of his debut outing on Vicious Recordings with an anthemic rework of the classic ‘Nasty Girl’ with big vocals from Inaya Day. Released on 8th February 2019, Nasty Girl has popped up in the UK Buzz Chart, the Australia ARIA Club Chart and in Traxsource’s Weekend Weapons Chart. The standout original comes with a remix from David Penn and tastemaker support has come from Huxley, Franco De Mulero, Vanilla Ace, Mambo Brothers, Sam Divine, Roger Sanchez, Patric La Funk, Oliver Dollar, Quentin Harris, Ryan Blyth, Smokin Jo, Abel Ramos, Animal Trainer, Slipmatt, and Shiba San. Henry is a one to watch with a slew of releases coming out over 2019. Get to know his sounds in his IHOUSEU podcast.